It’s never too early to begin thinking about summer entertainment plans, both venues and entertainment. Early this summer, the Hylton Center for the Performing Arts, entering its sixth season on George Mason University’s Prince William Campus, is presenting a late June weekend with a special, wide-range of musical entertainment by outstanding world class performers. How wide a range of music? How about Rosanne Cash one evening and the Castleton Festival on another? Both will be appearing in the grand Merchant Hall of the Hylton Center. First, on Friday evening June 26, at 8 p.m., the Hylton Center will present multi-Grammy winning artist Rosanne Cash. She most recently received Grammy Awards in February 2015 for Best Americana Album for The River & the Thread, and Best American Roots Song with John Leventhal and Best American Roots Performance for A Feather’s Not A Bird. Among other awards she has recently received is the Smithsonian magazine’s American Ingenuity Award in the Performing Arts category in 2014. “The Hylton Performing Arts Center in Manassas welcomes a singer-songwriter the Library of Congress called “one of the most compelling figures in popular music” when Grammy Award-winning musician and storyteller Rosanne Cash makes her first appearance on the Hylton Center’s Merchant Hall stage on Friday, June 26, 2015 at 8 p.m. as a Hylton Center Extra! In “The River & The Thread In Concert,” Cash performs songs from her recent three Grammy Award-winning album, The River & The Thread, a musical travelogue that connects her personal and family history and heritage to the people, places, events and culture of the American South; she will also perform chart-topping hits from throughout her career. 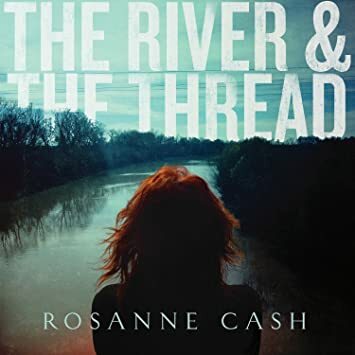 Written with her longtime collaborator, producer, guitarist and husband John Leventhal, The River & The Thread reflects Cash’s journeys throughout the Southern landscape, with stops to William Faulkner’s house; Dockery Farms, the plantation where Howlin’ Wolf and Charley Patton worked and sang; her father’s boyhood home in Dyess, Ark. ; the Sun Records Studio in Memphis; and the Mississippi Delta, with its memories of the birth of the Civil Rights era and the haunting gravesite of the great bluesman Robert Johnson. As part of country music’s legendary Cash and Carter families, Cash takes great pride in her lineage, but has spent more than three decades carving out her own place in music history. Her distinctive voice and rich sound that straddles country, folk, rock, blues and American roots music is perfect to tell stories of heartbreak and healing through her poignant and passionate songs. Throughout her career, Cash has released 15 albums and four books, including the best-selling memoir, “Composed.” She has earned four Grammy Awards and 12 nominations, the Americana Honors and Awards’ Album of the Year Award and 21 Top 40 hits, including 11 No. 1 singles. The program will be announced from the stage. Tickets for ROSANNE CASH: “THE RIVER & THE THREAD IN CONCERT” are $99 Platinum Circle (first six rows), $65, $55 and $45. Visit the ticket office (open Tuesday through Saturday, 10 a.m. to 6 p.m. and Thursday, 10 a.m. to 8 p.m.) or charge by phone at (888) 945-2468, or online. Then on Sunday afternoon, June 28, 2015 at 4 pm, the Hylton Center and the always widely-anticipated annual Castleton Festival will team up for Toujours l’amour: French Masterpieces of Love. It will be an enchanting performance of romantic music under the direction of the Castleton Festival’s Principal Conductor Rafael Payare as well as Metropolitan Opera stars Robynne Redmon and Richard Troxell. Recently, I met up with Rick Davis, Executive Director of Hylton Performing Arts Center, and he provided more details about these two new offerings to the Hylton summer schedule. Davis is also Associate Dean, George Mason University College of Visual and Performing Arts and Professor of Theater, George Mason University. Why did the Hylton Center schedule Roseanne Cash and The River & The Thread in Concert”? Rick Davis: Rosanne Cash is one of our greatest living singer-songwriters — and with her family roots, it’s easy to see why, although her style is very much her own. She has that essential ability to both tell a story and paint a picture in song, getting right to the heart of the matter. We’re delighted to offer this concert in our new “Hylton Center Extra!” program, bringing some of the top artists in America to our stage for special appearances outside of our regular subscription series. This program allows us to take advantage of artist availabilities on much shorter notice, and when the match is right, to jump in and make a booking. Tell us about the Castleton Festival event at the Hylton Performing Arts Center? I’m personally thrilled that the Castleton Festival is returning to the Hylton Center this summer with a stellar duo of vocalists straight from the Metropolitan Opera and other great American and European houses, assisted by some of the Castleton Festival’s fabulous young artists. Robynne Redmon and Richard Troxell are singers of high and growing international reputation and will knock us out with their interpretations of romantic pieces from French opera — and who does romance better than the French? The great Castleton Festival orchestra returns in full force to accompany and take a featured turn or two. We have been proud partners with the festival since our earliest days, bringing some of the world’s greatest classical talent to our stage at the Hylton Center. We’re also excited about the dinner option following the concert, in which for a separate fee, patrons can enjoy a beautiful French repast, with appropriate wine pairings of course, in the intimate setting of our Gregory Family Theater. “The Castleton Festival and the Hylton Performing Arts Center pair up this season to present an enchanting afternoon of romantic music that will touch the hearts of classical music lovers and Francophiles throughout the greater Washington, D.C. area. Under the direction of the Castleton Festival’s Principal Conductor Rafael Payare, Metropolitan Opera stars Robynne Redmon and Richard Troxell partner with the rising stars of the Castleton Festival to present Toujours I’amour: French Masterpieces of Love on Sunday, June 28, 2015 at 4 p.m. in the Hylton Center’s elegant Merchant Hall. This performance is unique to the Hylton Center and complements the 2015 Castleton Festival events that take place from July 2-Aug. 2, 2015 at the Castleton Farms estate in Rappahannock County, VA. The program for this delightful performance includes French arias and duets from Georges Bizet’s Carmen, Charles Gounod’s Roméo et Juliette and overtures of symphonic splendor. New conductor star Maestro Rafael Payare will conduct the Castleton Festival Orchestra, comprising talented music students and young professional artists, including concertmaster Paçalin Pavaci and Metropolitan Opera cellist Sam Magill. After the performance, patrons can partake in a sumptuous buffet dinner of traditional French cuisine catered by À la Carte with special wine offering. Dinner is $60 per person and will be served at 6:30 p.m. in the Hylton Center’s Gregory Family Theater following the performance. Limited seating is available. Castleton Festival Toujours l’amour: French Masterpieces of Love appears at the Center on June 28, 2015 at 4 p.m. Purchase tickets here. The Hylton Performing Arts Center is located on George Mason University’s Prince William Campus at 10960 George Mason Circle, Manassas, VA.
Free parking is available in the lot next to the Hylton Center. For more information, please visit HyltonCenter.org. Like us on Facebook at Facebook.com/HyltonCenter and follow us on Twitter and Instagram at @Hylton_PAC. Vanessa Terzaghi’s review of Roseann Cash’s April 2015 performance at the Strathmore on DCMetroTheaterArts.